All Seasons Guest House01865 742215work01865 429667fax Guest AccommodationAll Seasons Guest House is Located at the centre of Headington, Oxford. 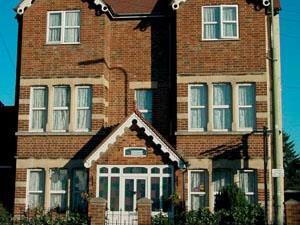 It is close to JR, Nuffield, Churchill Hospitals and Brookes University. The coach stop to London and Heathrow ,Gatwick airports is only 3-4 minutes walking distance. Our online booking is powered by Guestlink. It is easy and secure . All of rooms are real time allocated. You will get instant confirmation. Your credit card or debit card details will be verified to secure your booking. You will make payment when you arrive.Credit cards incur 2.5% surcharge. We need 72 hours notice for cancellation.Please read our terms and conditions for more information. The prices exclude breakfast. We provide free Wi-Fi and free parking. The room layout may be different from the image shown.